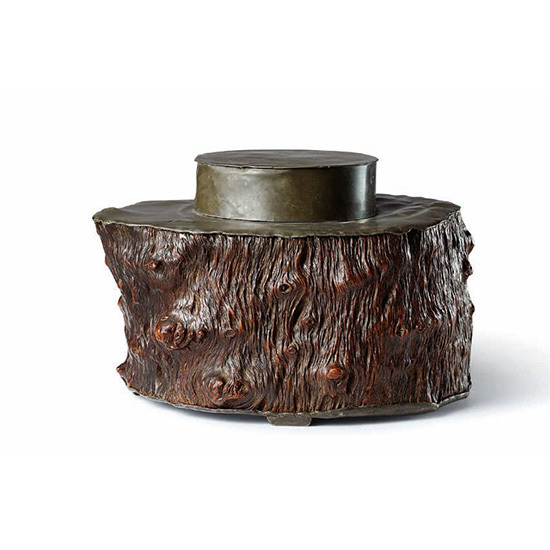 The tea caddy is fashioned from a hollowed section of a burlwood tree trunk with inset pewter fittings along the interior, lidded cover and base. The surface of the tea caddy is covered with variegated knots and gnarls and well patinated to a dark chocolate colour. The piece rests on five bracketed feet.